This Ankle small cast aluminium 1w LED recessed outdoor wall light in grey and rated IP65 is charming, practical and is designed for use as a recessed marker light. The downward square box design makes it perfect for highlighting garden pathways or steps. Fitted with 1w of cool white LED’s that give 25 lumens. If you are searching for brick or path lights, this fitting should be considered. Fully weatherproof and supplied with a manufacturer’s 3 year anti corrosion warranty, which relates to the corrosion of finishes on aluminium lights like this one. Locations within 5 miles of the coast are excluded. 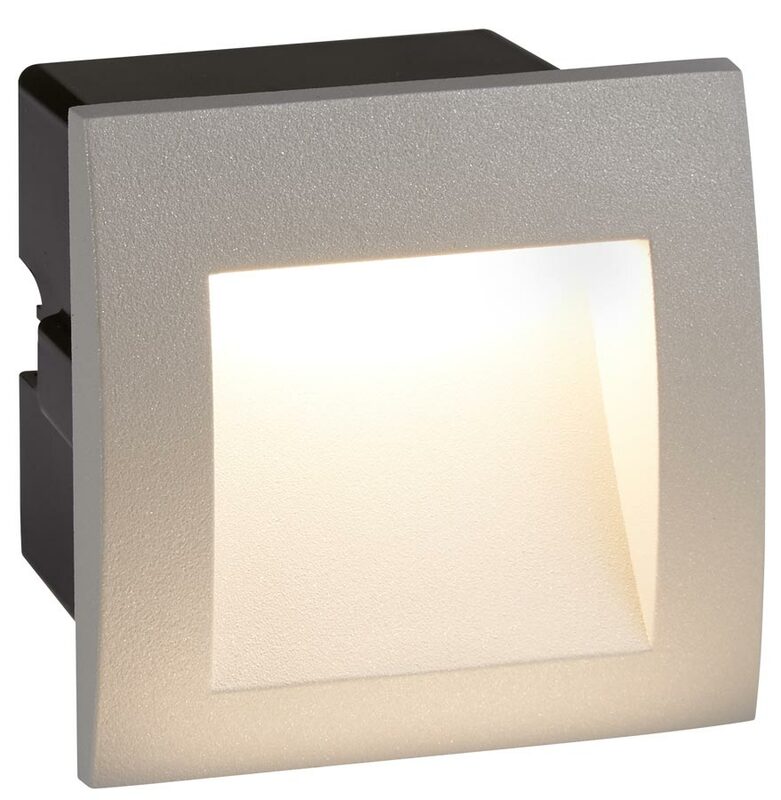 Supplied by Searchlight who manufacture some of the best traditional and modern classic designs such as the Ankle small cast aluminium 1w LED recessed outdoor wall light in grey and rated IP65 you see here.